A few months ago, we showed you how to enroll in the macOS beta program and try High Sierra right away How to Try macOS High Sierra Right Now Before Everyone Else How to Try macOS High Sierra Right Now Before Everyone Else macOS High Sierra is now available for beta testing. If you'd like to give it a try before the general release, here's how to get your hands on it now. Read More . Now that High Sierra is out for everyone (with a brand-new file system to boot New macOS, New Filesystem: What Is APFS and How Does It Work? New macOS, New Filesystem: What Is APFS and How Does It Work? iOS already has APFS. Now it's the Mac's turn. But what exactly are we getting into this Fall? Read More ), you should probably opt out of the beta program. If you don’t, you’ll continue to receive beta versions of new macOS updates. Select the App Store category. At the bottom of the resulting page, you’ll see a message that says Your computer is set to receive beta software updates. Click the Change button next to this. A prompt appears asking if you’d like to stop seeing beta updates. Click Do Not Show Beta Software Updates. Now you’ll no longer see beta updates in the App Store. Only standard, stable versions will be available for download. If you want to stay on the cutting edge, by all means remain in the beta program. But most users probably don’t care about receiving minor updates before everyone else, especially if they’re potentially buggy. When Apple announces the next version of macOS, you may want to re-enroll in the beta program to receive it early. Just visit the Apple Beta Software Program page and select Sign Up, sign in with your Apple ID, and you can download beta versions again. 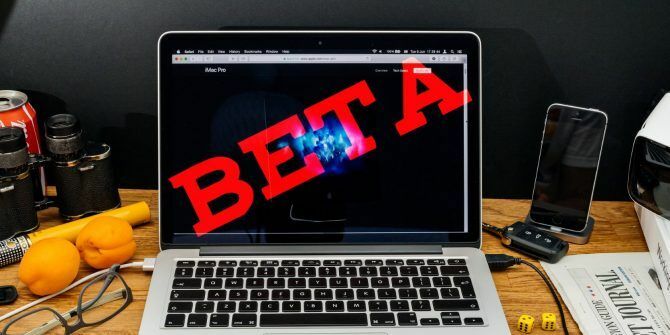 Are you part of the macOS beta program? Do you plan to stay in, or will you drop out until next year? Share your thoughts on the program in the comments! Explore more about: Apple Beta, macOS High Sierra.